Westbound at US 331. 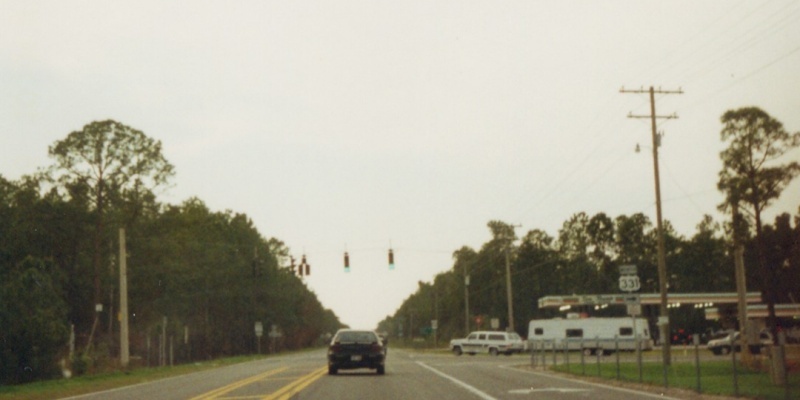 At the time this photo was taken, US 98 was 2 lanes through the area. It has since been widened to 4 lanes between Panama City and Destin due to extremely heavy tourist traffic. Photo by Adam Froehlig, taken in late March, 1999. 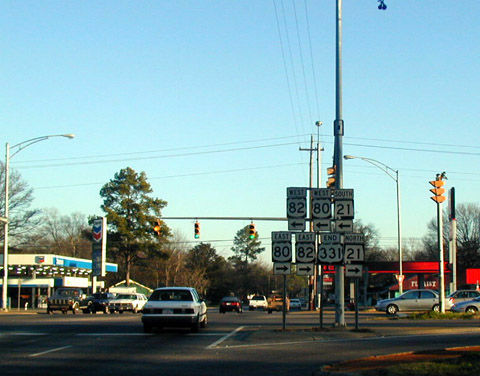 US 331 at one point extended into downtown Montgomery. It has since been truncated to Southern Blvd, shown here. Photo by End Wilson, taken February, 2002.